“The ambassadors should ask themselves why they waited three days till the tour took place,” Netanyahu said on Twitter. 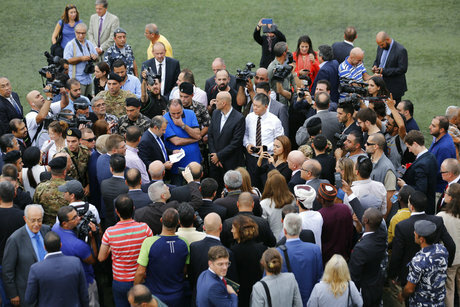 “It’s sad the Lebanese government is sacrificing the safety of its residents in covering for Hezbollah, which has taken Lebanon hostage in its aggression against Israel,” he added. In addition to the football stadium, the tour included a nearby golf course and a warehouse in the Ouzai area. The warehouse was included in the tour at the request of one of the Lebanese reporters. Live TV footage showed the apparently abandoned warehouse littered with plastic bags and napkins and those who entered it did not report any suspicious activity or equipment. 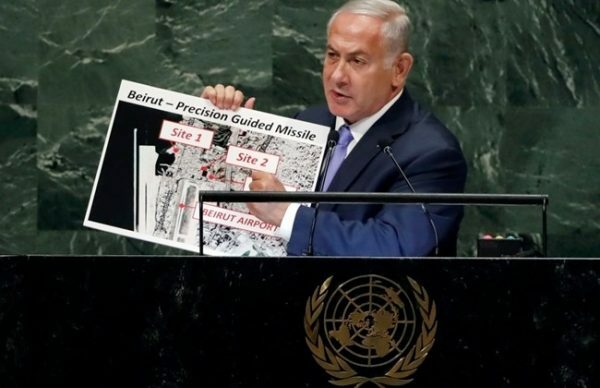 Netanyahu comments come after Israeli army spokesman Avichai Adrai on Monday lashed out at caretaker Foreign Minister Gebran Bassil after the latter’s call for a meeting with Lebanon’s foreign ambassadors against the backdrop of Netanyahu’s missile sites allegations. Yeah, the Israelis are looking for “excuses” to attack Beirut airport. I guess it’s because they are scared of the competition. Or maybe all worked up over the outrageous prices for tuna sandwiches. The Lebanese government protects and lies for the Party of Iran. If Israel had sane and normal neighbors things would be different, but living next door to trouble making Hezb/Iran shiite terror group tends to keep everyone on a war-footing. Never let down your guard with Iran, they can not be trusted. Look how they even recently get caught in failed terror attack in France lately, Iran is a real piece of shiite while it is under the control of the mad mullahs.